The Cost of Texting - Scarsdale Premier Insurance Agency | Advocate Brokerage Corp. Authorities across the country are getting serious about drivers who choose to watch their phones instead of the road. In Florida, for example, a texting-while-driving ban went into effect on Oct. 1 in a move by the state to prevent accidents. 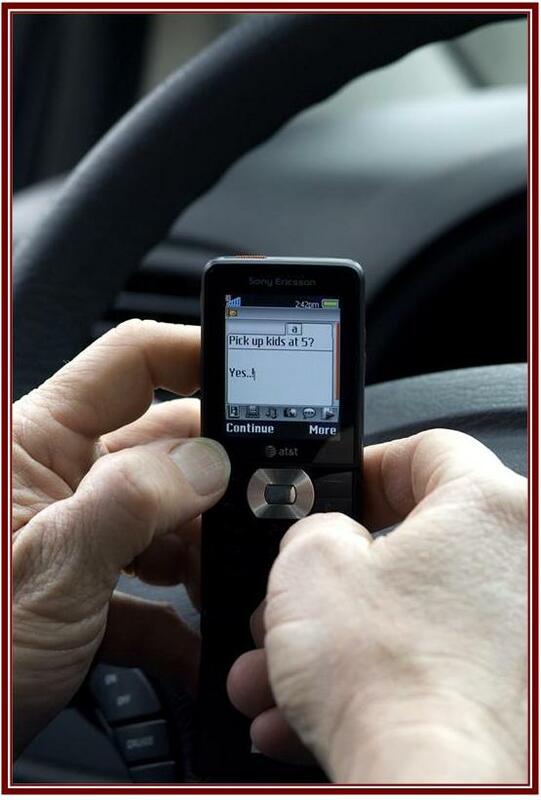 In June, New Jersey last summer raised the fines and penalties to no-nonsense levels: Up to $400 for a first offense of using a hand-held cell phone or texting while driving; up to $800 plus potential loss of license and 90-day jail term for a third or subsequent offense. Auto insurers have been strongly behind these moves to control distracted driving, which has reached epidemic proportions in the U.S., especially among younger drivers. A survey released in early November showed that 49 percent of drivers 18-29 use their phones behind the wheel, often for such things as checking social networks or visiting websites. The National Highway Traffic Safety Association says that texting while driving makes you 23 percent more likely to be in an accident, making such behavior as risky, or even riskier, than driving under the influence of drugs or alcohol. Insurance people have families, too, and they want their loved ones to be safe from drivers who are impaired for any reason. This holiday season, we at Advocate Brokerage urge you not to drive if you’ve been drinking, and not to make that call or read that text if you are driving. Please be safe out there.